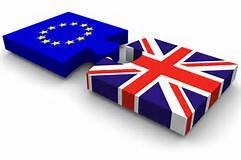 Brexit – Uncertainty or Opportunity ? No Comments on Brexit – Uncertainty or Opportunity ? The UK has voted to exit the European Union after a 43 year marriage. A very significant and for many a very unexpected decision. But what can we expect next ? How is the UK exit likely to affect the economy, employment, mortgages and peoples investments and pensions ? Goldstone Wealth’s independent financial adviser Callum Yorke takes a look at the facts and how the aftermath of Brexit may affect your financial situation going forward. You can download our free eguide below.